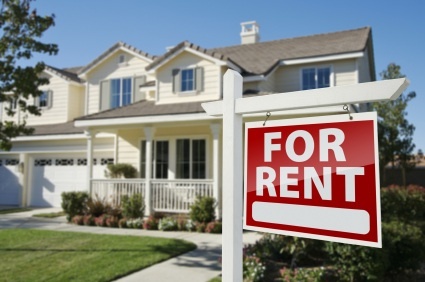 If you've owned income property for any length of time, you know that rental property can be financially rewarding. At the same time, you've also likely discovered that rental property management requires a large commitment of time and effort. Marketing and advertising your property: Through long experience and out technical knowledge, The Franks Team will know exactly where to market your property and how to craft compelling advertising materials---a significant advantage when it comes to filling your properties quickly and avoiding long vacancies. Finding the right tenants: The Franks Team as property managers are experts at finding good tenants, and will take care of all the details, including the securing all criminal background and security checks, running credit reports, verifying employment, and collecting previous landlord references. Managing tenants: In addition to finding good tenants, we will manage all aspects of the tenant-landlord relationship. As your property manager we can handle both routine and emergency maintenance, take care of routine inspections, and manage any situations where conflict resolution is required. Managing vendor relationships: Property management companies have relationships with maintenance workers, tradesmen, contractors, suppliers, and vendors that it's almost impossible for an independent landlord to duplicate. Not only can we get you the best work for the best price, but we can also oversee any necessary maintenance or remodeling projects. Enabling you to invest in geographically distant properties: If you manage your own properties, you're pretty much limited to investment opportunities within a tight radius of your own home. By hiring a property manager, you can take advantage of investment deals in any location you wish. We can keep you up to date with investment properties as they hit the market for sale and help you expand your investment portfolio. Maximizing the profitability of your time: By having the Franks Team take care of the day-to-day aspects of managing your income property, your free to spend your time identifying further investment opportunities or otherwise furthering your career. Call The Franks Team today to see how our property management services could benefit you.